complex of homes is in the Los Altos Elementary school district. Los Altos School District general information. 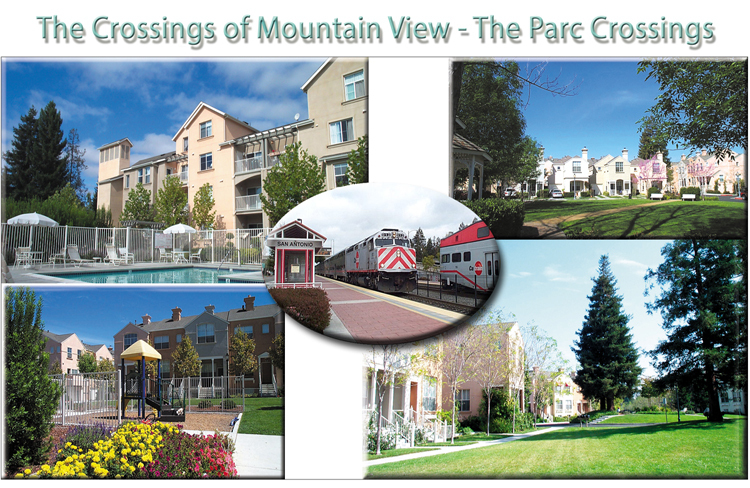 Official Parc Crossings HOA web site. 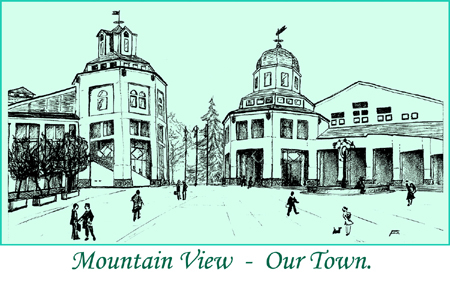 Specializing in Mountain View since 1985, I have been selling homes in this outstanding complex since it was built, and have successfully represented many clients moving in, or out of this Community over the years. Many of them have left testimonials. To search for a home to buy, or check out your neighborhood, go to my Automatic MLS Search engine for an immediate personalized search. For automatic, live email updates, open a personal organizer. To email me: francis@frolland.com - or call me on my direct line: (650) 224-4817. (for other stats, i.e. by sq.ft., please contact me). 2018 3 Br. 2.5 ba 1 1,895,000 1,860,000 - 1.8 % 17 d. 1339 sf. 2017 3 Br 2.5 ba 1 1,500,000 1,700,000 + 13.3% 8 1339 sf. 2016 4 Br 1 1,599,000 1,880,000 + 17.5% 8 1760 sf. 3 Br 2.5 ba 4 1,378,000 1,500,000 + 8.8% 31 1339 sf. 2015 3 Br. 2 ba 1 1,250,000 1,255,000 + .4% 57 1,339 sf. 2014 3 Br 2.5 ba 1 1,100,000 1,055,000 - 4.1% 16 1290 sf. 2013 3 Br 5 1,054,990 1,174,800 + 11.4% 11 d. 1366 sf. 2012 3 Br 1 998,888 1,168,000 + 17.9% 10 d. 1720 sf. 2010 4 Br 2 964,500 947,500 - 2% 9 d. 1760 sf. 3 Br 4 814,700 829,500 + 1.8% 12 d. 1326 sf. 2009 4 Br 1 939,000 935,000 0 % 69 d. 1760 sf. 3 Br 1 749,000 700,000 - 6 % 63 d. 1339 sf. 2008 4 Br 1 960,000 960,000 0 % 7 d. 1760 sf. 3 Br 2 967,500 983,250 + 1.6% 15 d. 1644 sf. 3 Br 3 843,000 876,700 + 4% 6 d. 1720 sf. 3 Br 2 791,500 801,500 + 1% 13 d. 1339 sf. 3 Br 6 752,000 805,600 + 7% 12 d. 1315 sf. 3 Br 4 643,500 679,000 + 6% 7 d. 1360 sf. 3 Br 3 632,400 659,600 + 4% 8 d. 1466 sf. 2002 4 Br 4 784,000 784,000 0 % 23 d. 1855 sf. 3 Br 6 626,750 639,000 + 2% 10 d. 1500 sf. All 10 689,700 697,000 + 1% 15 d. 1642 sf. 2001 4 Br 1 749,000 745,000 - 1% 1 d. 1760 sf. 3 Br 12 592,100 575,100 - 3% 33 d. 1424 sf. All 13 604,100 588,200 - 3% 30 d. 1459 sf. 2000 4 Br 2 699,500 845,500 + 21% 20 d. 1760 sf. 3 Br 8 609,750 657,900 + 8% 9 d. 1395 sf. All 10 627,700 695,400 + 11% 11 d. 1468 sf. 3 Br 5 472,300 500,200 + 6% 22 d. 1458 sf. 1998 4 Br 1 495,000 529,000 + 7% 10 d. 1935 sf. 3 Br 4 428,500 425,750 - 1% 23 d. 1342 sf. All 5 441,800 446,400 + 1% 21 d. 1460 sf.